My belief is we all have an inheritable destiny to serve humanity. Sometimes it is not by choice, it is our calling and it is our belief in God. ​​Our goal is to provide you with timely information regarding the status of civil rights in Ventura County. The NAACP objective is to ensure the political, educational, social and economic equality of all minority citizens. By eliminating racial prejudice on every level, and confronting the challenge of disparities in our community. Being a voice that is heard for all minorities. 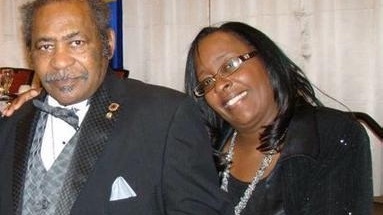 In spite of the hurdles, the Ventura County Chapter of the NAACP has exhibited strength, perseverance, and dedication in pursuing our goals. Our commitment to Civil Rights and Equality and acknowledgment of our responsibility to our membership and community opens the door to exciting opportunities. I am inspired by the way our officers, committee members and people in this community give of themselves, offering their time, creativity and other resources to strengthen our chapter. The NAACP seeks to remove all barriers of racial discrimination through democratic processes. This objective can only accomplish by the enactment and enforcement of federal, state and local laws securing civil rights, and by informing the public of the adverse effects of racial discrimination. From school desegregation, fair housing, employment and voter registration, to health and equal economic opportunity. The struggle is far from over, and only as a community, we can make a change. I invite you to become a member and be a voice for the voiceless. From the courthouses to the ballot box to the classroom, the NAACP and the dedicated workers, volunteers, organizers, and leaders who forged this great nation by fighting long and hard to maintain its status as a champion of equality and social justice for people of color. Ensuring that the voices of African Americans and all minorities are heard. 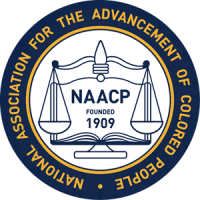 For nearly one hundred years, it has been the talent and tenacity of NAACP members that has saved lives and changed many negative aspects of American society. As a national organization, the NAACP has led the effort for social justice for 108 years. 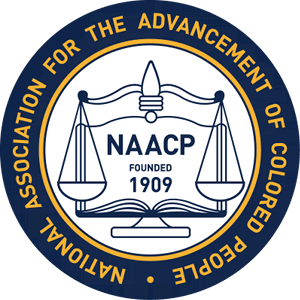 With the strong leadership and dedication of the local branches, the NAACP offers outstanding programs and resources to enable all people to enjoy the American dream, through home/property ownership, financial literacy programs for adults and youth to become smart investors, and the power of diversification of their investment portfolios. Creating a financial independent society of people thru responsible leading/borrowing practices. The NAACP has long committed to community building strategies to seek proactively establish collaborative relationships with other organizations and agencies across the community that share common missions so that social justice issues can be dealt with swiftly and with greater power. The NAACP the oldest and largest inclusive organization, are leaders and models in the 20th-century civil rights movement. Your membership is invaluable to the continued existence and viability of NAACP advocacy initiatives, outreach programs and social justice efforts. With your membership comes the opportunity to make a difference in Ventura County. MEMBERSHIP IS POWER!! !